I see myself as an interior artist that creates a personal work of art for the client that gels with existing furniture and decor, a piece of art that has meaning to the beholder. I love working on large oversized canvasses, impasto textured paintwork or painting murals, I am confident and experienced to work with different mediums, either hand building with clay, hand painted ceramics, mosaics or sketching. 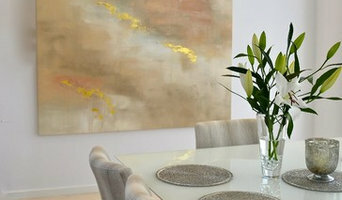 My art work features in many private homes throughout Australia. and I have recently sold my art through Xavier furniture Perth. My ceramic work has been published and has inspired on a global scale. As an artist I embrace what ever is given to me and over the past 25 years I have certainly had a colourful life with a variety of experiences from teaching ceramics, mosaics, voluntary teaching clay work to year 8 students at Alyangula area school, Groote Eylandt, Northern Territory. My work also includes renovating homes throughout Australia, 1 in Melbourne, 4 in Sydney, 1 in Brisbane and 1 in Perth, then styling interiors and creating the art work for each home to sell the lifestyle. I am a hands on girl, from demolishing walls to building stone walls and landscaping gardens. I have also owned and operated an Art Studio Gallery in Sydney's North Shore, One day i was approached by a client whom asked if I could paint an urn for her father who had passed, I felt honoured that she had so much faith in me. And another memorable moment was a client that approached me and commissioned me to paint a mural in her child's bedroom, her young daughter was too scared to sleep on her own and her siblings were tired of her sleeping in their beds, so my client was now an adorable 4.year old, we sat down together and spoke about her favourite things and created a teddy bears picnic on every inch of the walls and ceiling in her bedroom. Mission accomplished, one extremely happy 4 year old and her siblings moved into her room. So I am truely passionate about art and the process, we all need a splash of fun and colour in our lives. 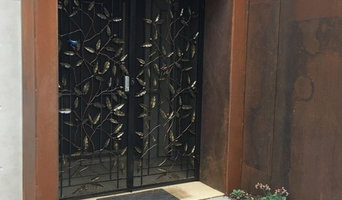 Jalmer Iron offers unique, handmade ironwork to add a wow-factor to any home, office or landscape across Australia and internationally. As well as a range of small collectibles, we produce furniture, landscape features, custom artistic iron doors and bespoke ironwork for whole house concepts. We work with top artisans to deliver collaborations with glass, timber, stone and anything else our clients want to incorporate into their design, as well as architects, interior designers and other professionals to create truly inspiring outcomes. As all our work is handmade we guarantee our clients are getting something unique to them. We also work with recycled steel, so the materials we use become part of the story. Our work is sold through top galleries across Western Australia, and all major works are issued with a Certificate of Authenticity. Welcome to Hues & Fables. We think simplicity is beautiful and that less is often more. We bring to you contemporary art prints for the modern interior. We create art that are designed to complement simple and stylish decor, for grown ups as well as little ones. We're very passionate about creating kids' art that engage, so we celebrate colour and harness the magic it brings to growing minds. Our hope is to create wall decor that will look smart in interior spaces the whole family can enjoy. Lovingly made in Western Australia, our prints are produced using archival pigment inks on premium media. They will look beautiful on your walls for a very long time. We hope you will love our art prints, as much as we love creating them. FRANCESCA GNAGNARELLA is an Italian contemporary abstract artist, now living and working in Perth, Australia. Bold yet sophisticated; the artist’s works translate classic indulgence into a sleek modern style. The artist incorporates bold brushstrokes and dripped paint together with thinned veiled stains to created shifting layers of colour. Gnagnarella’s artworks are recognized among her art followers for the use of 23 Carat Gold leaf, which enriches the painting with a unique luminosity and elegance. Francesca exhibits regularly between Hong Kong, Singapore, Europe and Australia and her paintings have been collected and sought after by numerous private and corporate collectors in Italy, France, USA, Japan, China and Australia, including the Director of the Art Gallery of Western Australia, Dr Stefano Carboni. My design practice stemmed from finally following my life-long dream of creating and making through a life-changing move to Australia from Turkey. My work is predominantly slip-cast stoneware and porcelain but I also like uniting the contrasting and complementing qualities of clay and wood. I strive to create ‘textures to touch’ – intimate functional ceramic objects that make you not want to let go once you hold them; timeless designs that are a pleasure to use everyday. They celebrate ‘the beauty of the imperfect’, reflecting colours, textures and forms derived from nature. My current range includes TABAK (stoneware tableware mimicking distressed leather), FUSE (porcelain-plywood table lamp), ADA (porcelain dinnerware mimicking pebbles and marble), and CHAKIL (porcelain-driftwood-seaglass jewellery). 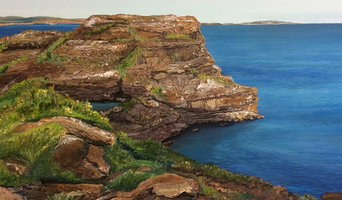 Windram Art - Showcasing a complete range of Art reproductions by Ingrid Windram. We are also offering an expert picture framing service with over 30 years experience in the industry.We can tailor to your budget and décor requirements. 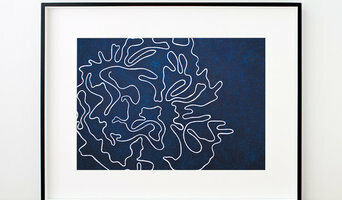 Fine art prints that look great in Modern and Contemporary spaces. 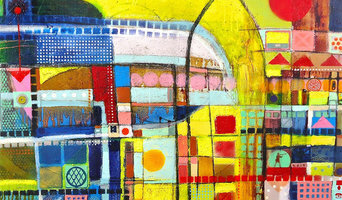 Original Australian artist, based in Perth. Working with oils, acrylics and mixed media. My work is intuitive and therefore every painting is unique and can never be repeated again. For this reason I don't do commissions. I was born in Geraldton, moving to Cottesloe as a very young child and spent my childhood literally growing up on the beach. It was an absolute treasure trove of discovery with the abundant ocean, the rock pools, the ever-changing seasons and the beautiful colours. My dream was to become a commercial artist but upon leaving school I was sent off to Business College so following a year of work & saving money I then set off on a ten-year sojourn of travel around Australia, New Zealand, the Mediterranean, Israel, Ireland, UK and Europe. I landed back in WA to the Gascoyne region where I spent six months prospecting for gold and then lay roots in Dampier where I lived for the next seven years. Continuing on from my childhood dream, over the years I undertook multiple different art & craft courses, fully embracing each and ultimately settled on painting. I absolutely love the solace I gain from getting in touch with my creative side. Luckily I have had inspirational teachers who are very good at encouraging their students to develop their own individual style. The creative process for me is very spiritual and because of this, rewarding and fulfilling. All of my pieces are immensely personal and reflect back to very significant times throughout my life. When I’m too busy to start a new project I find my mind wandering through colours, shapes and subjects and always have a painting waiting to emerge. As my style develops and evolves, the journey of discovering new techniques spurs me on to explore, experiment and attempt new approaches to enhance my work. Painting to me is a meditation and has brought me great peace and fulfilment. I’m Dylan Fox, an award-winning Australian Landscape Photographer based out of Perth, Western Australia. My online gallery consists of my finest landscape photography from Australia and the United States of America. This online gallery displays my award-winning collection and offers my prints for sale in a variety of sizes sure to suit your need. I have always loved to have a camera in my hands for as long as I can remember. On family trips I can recall racing through rolls of film on my mum’s Canon SLR, capturing nothing in particular and using up excessive amounts of film in the process. Having always loved to travel and witness natures finest moments, it was only a matter of time before I started capturing those moments in the form of photographs. It was on a year 12 photography camp where we were assigned the task of capturing a few landscape images for our portfolios. Ever since that first sunrise shoot on Rottnest Island I have been hooked. Needless to say I spent the rest of that trip cycling the Island in search of my next Landscape photograph. Perth has provided me with an amazing coastline in which to learn and develop my skills as a photographer. The beaches along the West Australian coast have played a major part in my life and a significant role in my photographic career. My eyes are now forever watching the sky’s and keeping an eye on local weather maps in hope of capturing something special. The satisfaction of capturing an amazing location under the perfect light is a feeling I strive for constantly. When all the elements come together it makes for a moment in time that I may never forget. Capturing those moments allows me to show people what they may have otherwise have missed. My aim is always to capture photographs that provoke emotional connections from those that view them. The photograph must tell a story and truly captivate those that see it. Nidia is a Contemporary artist and designer and Arts Event Manager residing in Perth, Western Australia. Nidia is a multidisciplinary artist and her artworks include paintings, printmaking, tridimensional, installations and curatorial. Her artworks are held in corporate and private collections such as Summit Homes, City of Swan ans The Office of Minister for Mental Health of WA. New startup design workshop specialising in urban contemporary art and decorative panels. We specialise in laser cut metallic designs in varying materials and finishes including steel, stainless steel and aluminium. All finishes available - powdercoated, anodised and rust patina (Corten steel). Custom designs also welcome and we can assist anywhere from concept to production. Ken Rasmussen paints distinctive large format landscape oil paintings from Sydney, Perth, Margart River and other iconic Australian locations. Whether you’re looking for a fun and functional piece, such as ceramics or pottery, or prefer murals and decorative painting, you’ll find many Attadale, Western Australia artists, muralists and artisans on our Professional pages, ready to include you in a creative process that will result in a stylish and personality-filled home. There are a wide selection of Attadale, Western Australia artisans listed on Houzz, including muralists, painters, ceramic artists, potters, ironworkers, photographers, sculpturalists, designers of decorative glass, metal wall art, abstract art, home accessories, and more. Even everyday items such as tableware, tiles, splashbacks, lampshades and bedheads can be handcrafted, painted or designed by an artisan. You will also find artisans who specialise in bespoke designs, as well as those who offer artwork consultancy. Find artists and craftsmen on Houzz. Peruse portfolios in the Professionals section to find abstract, traditional, and contemporary artists in Attadale, Western Australia. Read reviews and contact artists directly to ask them more about their work.